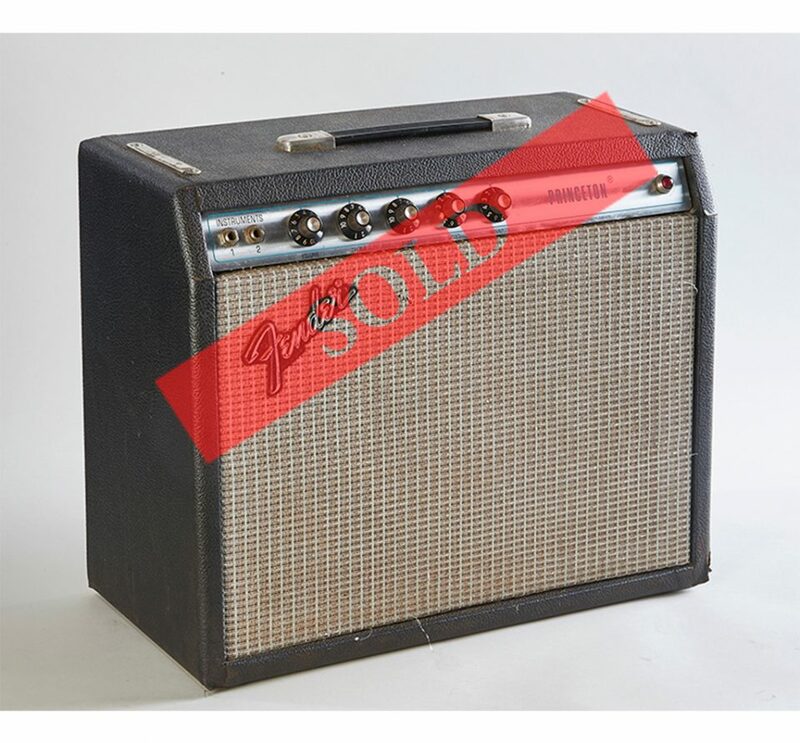 This 1975 Fender Princeton amplifier is the non-reverb model with a single 10" inch speaker. Coming in at 12W, this is a perfect amp for small venues. They tone quality is excellent and the volume not mind-numbingly loud. I like to drive it less than 6-7, as the vintage Fender amps tend to fuzz out at high volumes. * NOTE* Amps only ship within Australia and are sold "AS IS". They function fully and the purchaser is responsible for them once they leave they are delivered. Below is a recent photo of the actual amp showing the condition of the grill.